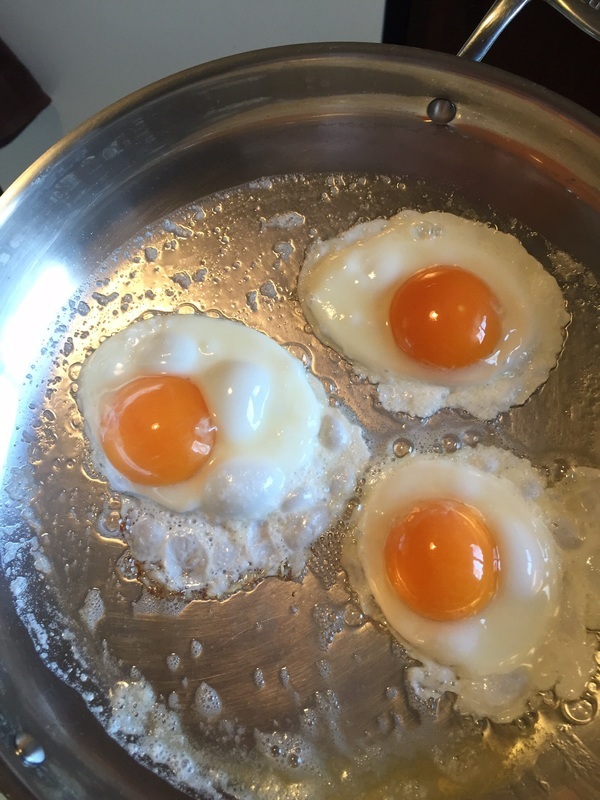 Our eggs come from our free range chickens. They are primarily brown but some are white in shell color. The size is large to jumbo and they are $3 a doz. Pullet eggs coming soon. Our chickens are given all types of fruits, vegetables, and seeds. They also are able forage for all kinds of bugs and greens. Our yolks tend to be thick and creamy with a orange vibrant color.